In 2009 Real Madrid paid Â£80m, a then record fee, to sign a ready-made superstar in an effort to keep pace with a Barcelona side that had won it all. In doing so, they sparked a rivalry like no other; Messi vs Ronaldo. The seasons that have followed have been truly spectacular, the battle for supremacy increasing in profile and intensity all the while. Their styles, personalities and footballing allegiances continue to divide opinion, but their dominance of the record books has now put one claim beyond debate - this is football's greatest ever head-to-head. 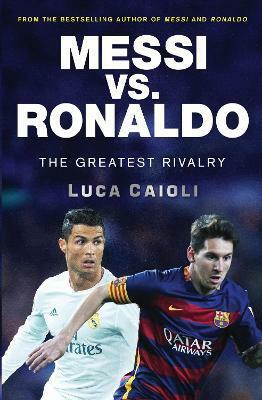 Acclaimed football writer Luca Caioli draws on invaluable testimonies from those closest to the two stars, with exclusive insights from friends, families, teammates and managers, to tell the inside story of this fascinating rivalry.